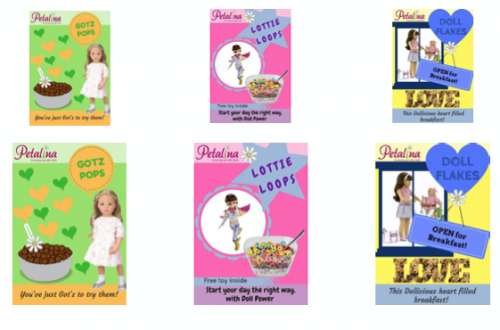 Our Generation is a very successful doll brand made by Battat, a Canadian family run company. 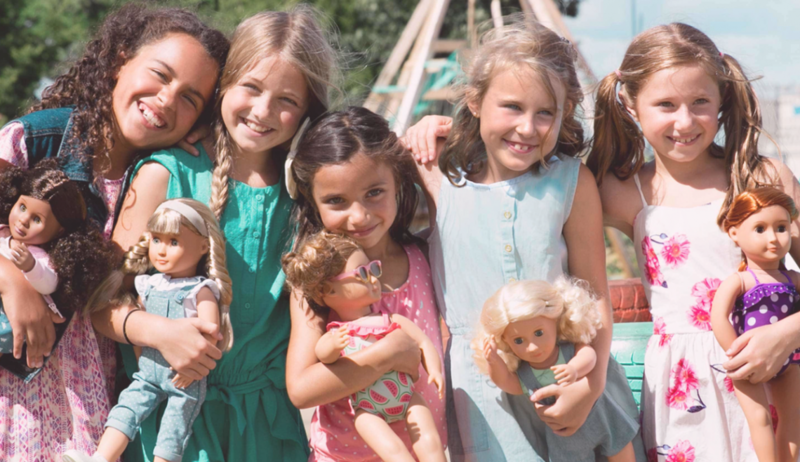 I’m not surprised they are so successful because they have a superb range of play dolls, dolls clothes and accessories that girls just love, and all at an affordable price so that everyone has a chance to get involved and have fun. The philosophy behind the company is to allow girls to be themselves and do what they enjoy, whether catching butterflies, hair styling, fishing, gymnastics, riding or creating fashionable outfits, and they can do all of these things with a best friend doll, lots of fashionable dolls clothes and the right accessories. Many of the dolls come with inspirational story books and the OG dolls website features stories of amazing girls who have done incredible things to help others less fortunate than themselves. A wonderful way of encouraging girls to stay young for a little bit longer. So what are the Our Generation dolls like? 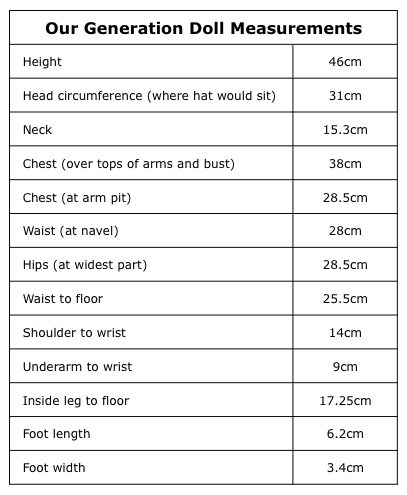 They are 46cm/18″ tall which is the same height as American Girl and Gotz Precious Day dolls. They have hard vinyl limbs and head and a cuddly body made from skin tone nylon filled with new polyester fibre. Their bodies are filled enough so that they remain tactile to hold but they also stand up on their own easily. The dolls can turn their heads and their limbs move backwards and forwards in the sockets. The Deluxe range of dolls can also bend their knees. This is due to some sort of wire inside the leg so that the vinyl actually bends a bit and stays put. The regular dolls, science dolls, hair grow dolls etc do not have this ability. 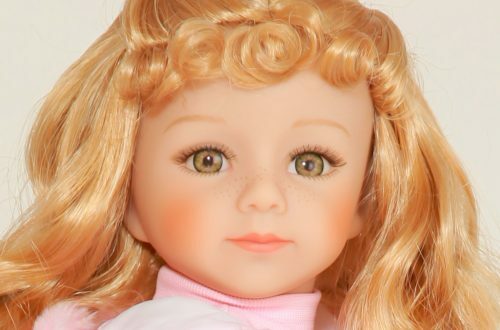 The dolls have simple faces with a neutral expression, slightly pink cheeks, natural lip colour and painted eyebrows. They have large eyes that close with long fibre lashes on the top lid. Their fine hair is rooted and very soft to the touch. How can the dolls be cleaned? If the doll needs to be cleaned then a damp cloth can be used. The hair can be brushed and for best results use a wire brush. Divide the hair into small sections and gently brush them one at a time. Make sure to brush out the tangles starting from the bottom of the hair and then moving up. It helps to spray the hair lightly with water if it is particularly messy. If the hair is wavy, be gentle when brushing the ends as this will preserve the curls. For tight curls, use fingers. Separate a small section of hair and work your fingers through it, twirling as you go. For braided styles, tightly plaiting hair while damp will help control frizzy ends. Avoid using styling products like gel or mousse, as this may damage the hair. Avoid using a blow dryer, hot rollers, curling or straightening iron on hair. Always keep the doll’s hair away from extreme heat. Now I did find that when we removed Sienna from her box in order to take the photo above, her hair was quite greasy. This is because the hair has been treated to keep it silky and smooth but it was actually making the hair difficult to brush. It really looked like it needed a wash, so that is what I did. I put some mild shampoo into a basin of tepid water and literally dangled her hair in it and squeezed the hair a few times. I dipped her hair into the water as far as I could without getting the scalp wet. I was careful not to get water in the doll’s eyes (which could cause rusting) and I wrapped the doll’s body in a towel to keep that dry. After rinsing I squeezed the excess water out, styled it correctly and then left the hair to dry naturally. The next day her hair was much silkier and more pleasurable to deal with. One thing I learned is that it is very easy to lose the doll’s parting so I would advise putting a couple of hairgrips in position on each side of the parting which can be removed after washing. Who are the Our Generation dolls suitable for? I think the Our Generation dolls have very wide appeal. 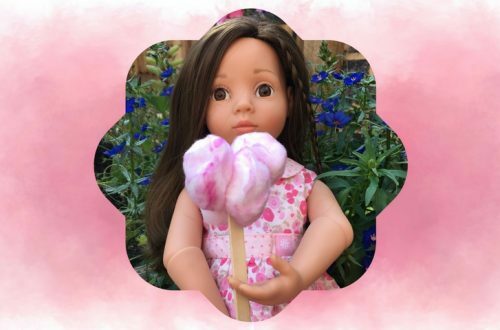 Being cuddly and with closing eyes they are perfect for 4 or 5 year olds wanting their first grown up doll. American Girl dolls have proved that girls as old as 10 or 12 still enjoy playing with soft bodied dolls and with all the dolls clothes and accessory sets available, these dolls are a lot of fun for all ages. Also, being such a good price means that the dolls are the perfect introduction to doll play because it’s not the end of the world if the doll isn’t played with very much. So a better bet than a £100 doll if you aren’t sure! Petalina’s opinion on Our Generation Dolls? These are excellent value dolls that girls of all ages can have a great deal of fun playing with. The quality for the price is really good too. Is the quality as good as Gotz? Not quite, but for half the price they are brilliant, and we love all the clothes and accessories. Rosie made a video for Petalina to introduce the Our Generation dolls which you can see by clicking here to go to YouTube.